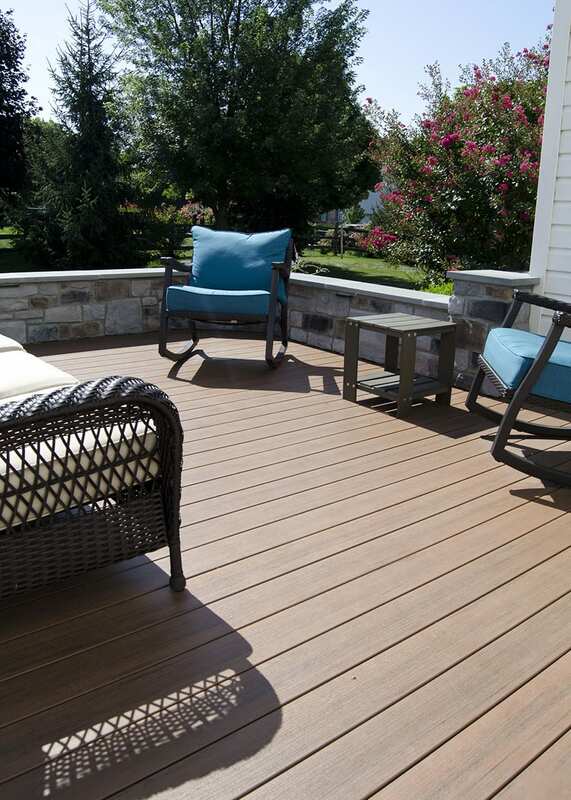 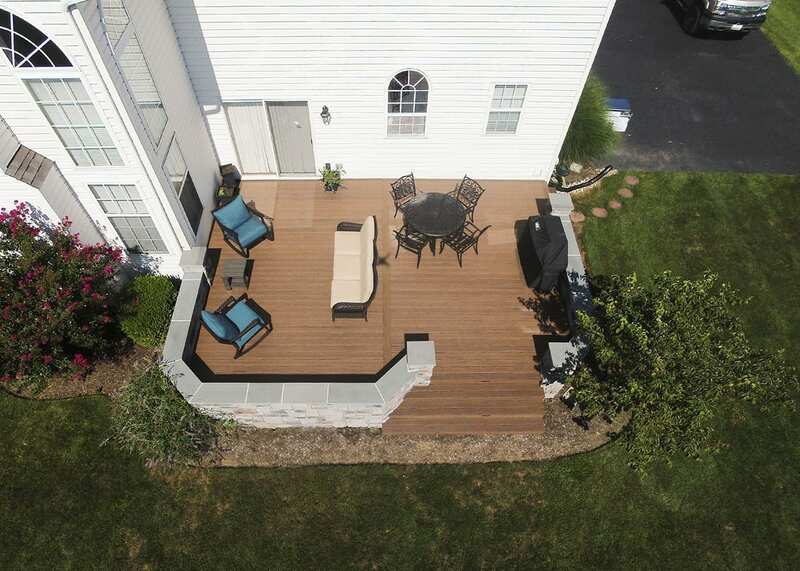 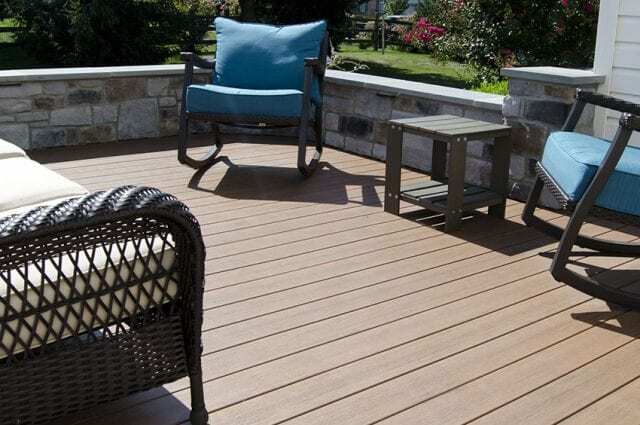 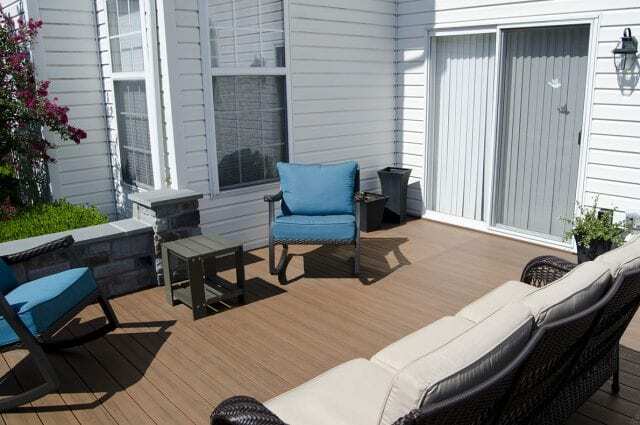 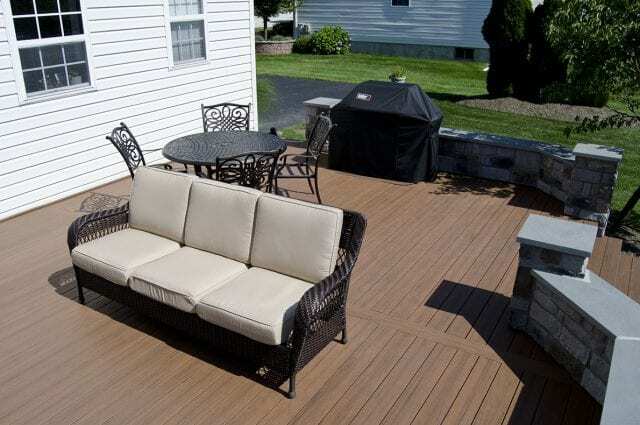 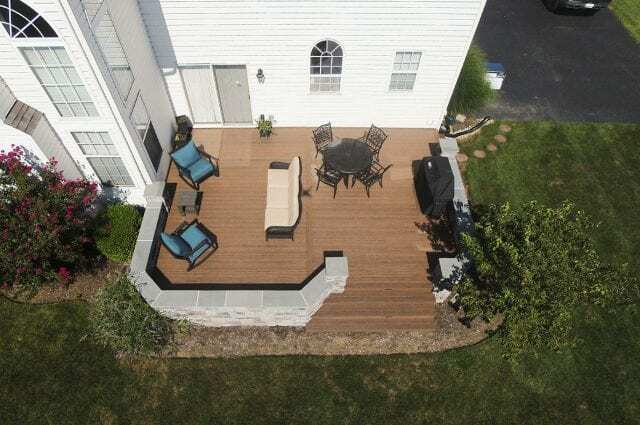 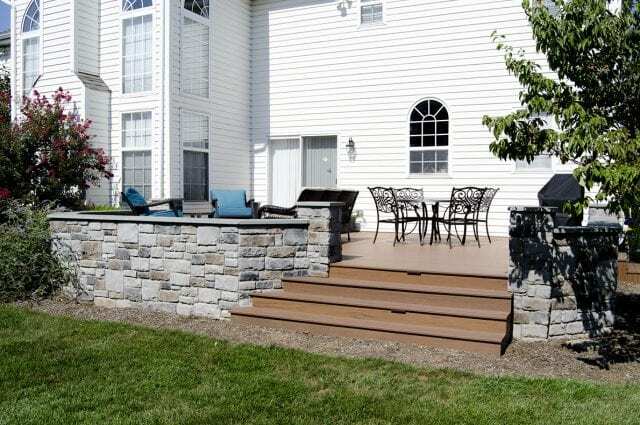 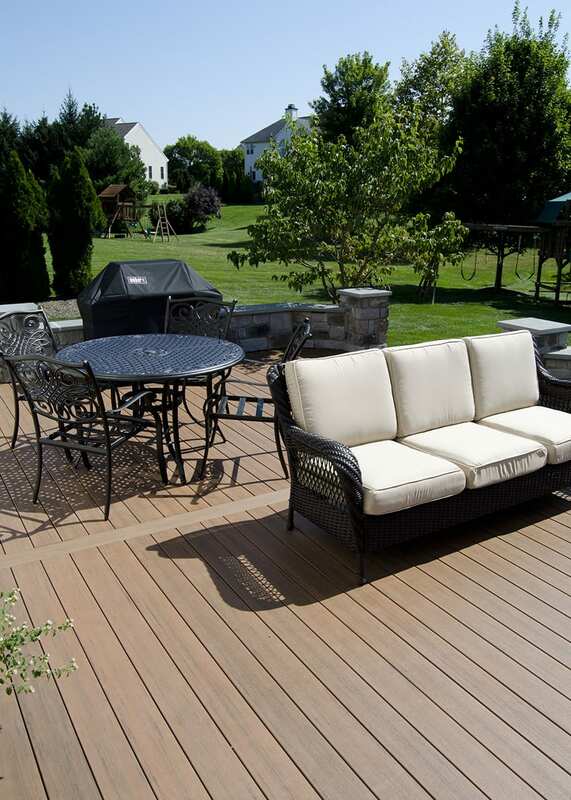 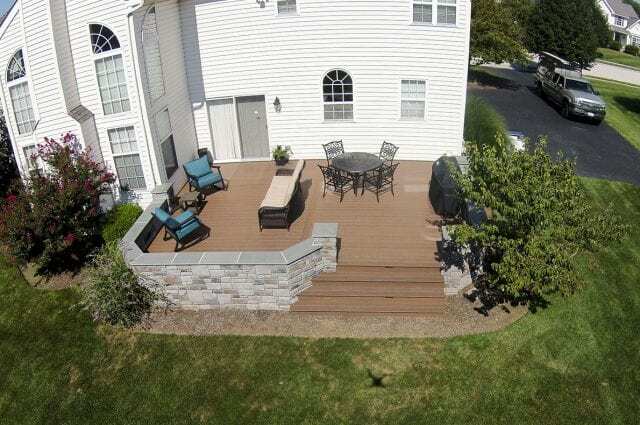 This custom Timbertech deck showcases brownstone decking and a custom stone seating wall. 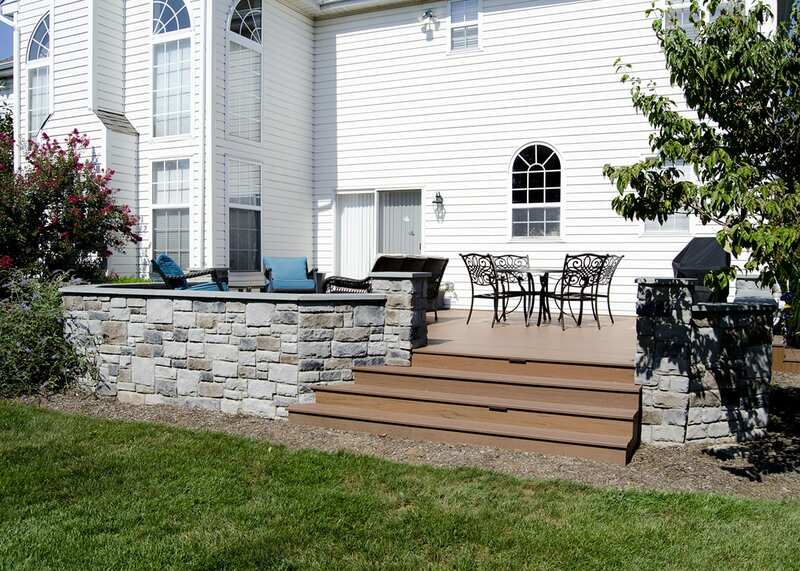 The space also features a custom flared staircase and step riser lights. 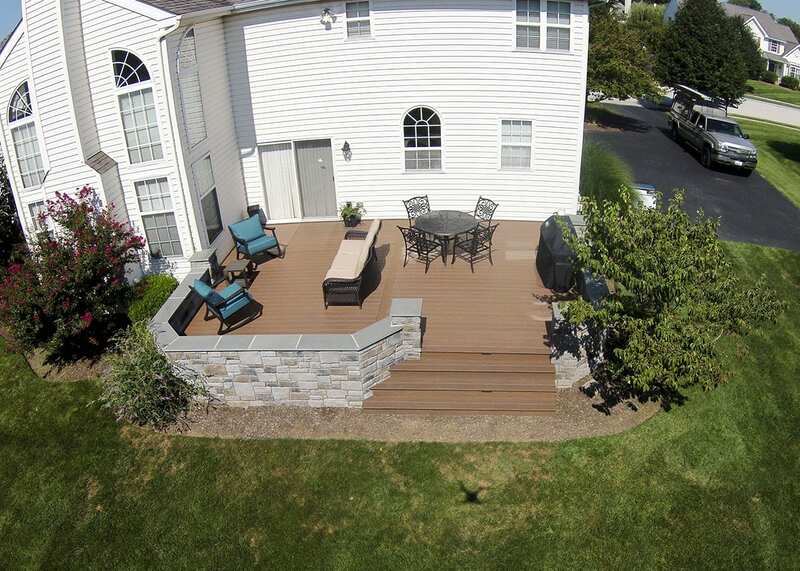 This project was completed in July of 2015.